survey – eduBuzz What's On? 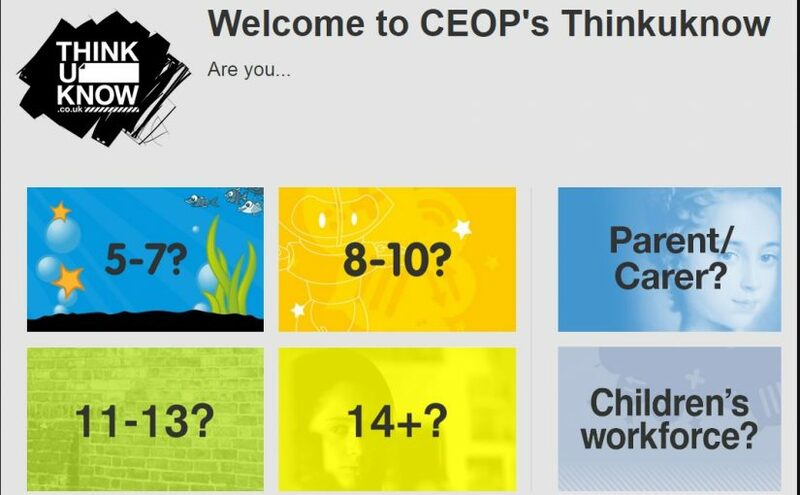 New resource for 4-7 year olds – Thinkuknow needs you! Work with children aged 4-7 and/or their parents/carers? Children are using technology and exploring the online world from a younger age. Thinkuknow are developing a new resource to help build young children’s resilience online and give them the skills to explore all the digital world has to offer safely. They need a comprehensive picture of the online behaviour of 4-7 year olds and hope you can help them by completing their Professionals survey and promoting their Parents/Carers survey. Thinkuknow would like to hear from practitioners about what is most effective when educating children about online safety. Complete the professionals survey here. Heritage Blueprint are a team of passionate young people aged 16-25, who are working with the National Trust for Scotland and Young Scot. Over 12 months they will be looking at ways to increase young people’s active involvement in NTS as an organisation, making a real difference by creating opportunities with NTS to shape its engagement and membership offer for young people. But they need your help! Please share your views and ideas through this survey. http://www.surveygizmo.eu/s3/90010671/Heritage-Blueprint-National-Trust-for-Scotland if any young people don’t have rewards. Is money a constant worry for you? The East Lothian Poverty Commissioners are a group of people who care about the issue of poverty in East Lothian. We want to find out more about people’s experiences of poverty and how is has affected them. Our job is to find ways of tackling poverty. ‘The Commission has such an important job to do and we really need to hear from people who are experiencing it first-hand. It’s a big ask – I know people don’t always want to talk about what’s happening to them. But if you do get in touch, we will treat whatever you tell us in confidence and with respect and sensitivity. We want to hear from you. Tell us your story and your experiences of living in poverty. Tell us what life is like for you. We would like to hear how poverty affects your life, what worries you have and how it makes you feel. We would also like to hear from anyone who knows or works with people living in poverty. We also want to hear ideas and suggestions for change. What can be done to make things better? What would help people to move out of poverty? We will use your stories and ideas to help us to suggest new ways of tackling poverty and to change negative attitudes towards poverty. You can share your story with us through an online form or you can contact us in any of the ways below. The National Trust for Scotland is looking to build its formal learning programme and has commissioned a research project that explores the motivations of teachers and administrators planning a visit to a historic site. They would like to understand how the NTS can proactively connect with schools, encourage them to use their resources and what support (if any) is needed to help schools access their sites). You can use the link below to participate in this research. • What do you think of the places you use? • How can we make them more youth-friendly and accessible? We will have an Award for the most youth friendly spaces services. The type of venue…? this could be Community Centre, Museum, Library, Youth Club, Skate park, Healthy respect, Doctors, Sport centre, shops or any other centre or service you use …. Film: 21st Century Literacy is conducting a survey to assess the impact of using film in primary and secondary education and they need your help. We need to talk to teachers from primary and secondary classes in the UK who have been involved in filmmaking and/or film watching projects in the last few years. Can you help Young Scot’s “Voice Against Violence” group gather data on young people’s views and experience of domestic abuse? We have a new survey on our national consultation toolkit (Young Scot Says Who – www.youngscotsayswho.org), which has been created by Voice Against Violence who are a group of young people who have firsthand experience of domestic abuse. They have been working with the Scottish Government and the Convention of Scottish Local Authorities (CoSLA) on a Delivery Plan which aims to eradicate domestic abuse from Scotland, and have just recently launched a national campaign targeted specifically at young people. In addition to this they have created a national survey aimed at gathering the views of all young people across Scotland on their perceptions and experience of domestic abuse. The information gathered in this anonymous survey will be used by Voice Against Violence to inform the Scottish Government of the views of Scottish young people and feed into the Delivery Plan. We have worked with them on this and are aware of the very sensitive nature of the survey, but it all comes from Voice Against Violence who are obviously knowledgeable and informed on this subject, and it is this personal experience and sensitivity that has guided the work. We would greatly appreciate if you could forward this email containing the relevant link (below) throughout your contacts as they are keen for this to reach as wide an audience as possible, and within that anyone who feels happy to do so can complete it.